2012 marks the 60th year of Queen Elizabeth II's reign — her diamond anniversary as monarch of the British Commonwealth. 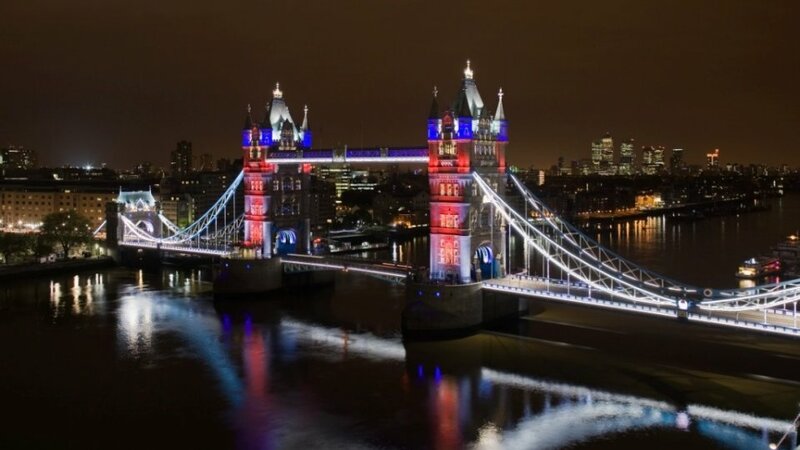 Ahead of the celebration for this momentous milestone (as well as the 2012 Olympic Games) crews wreathed London's 117-year-old Tower Bridge in thousands of LED lights. The bridge will remain all white like this through the Queen's Diamond Jubilee.